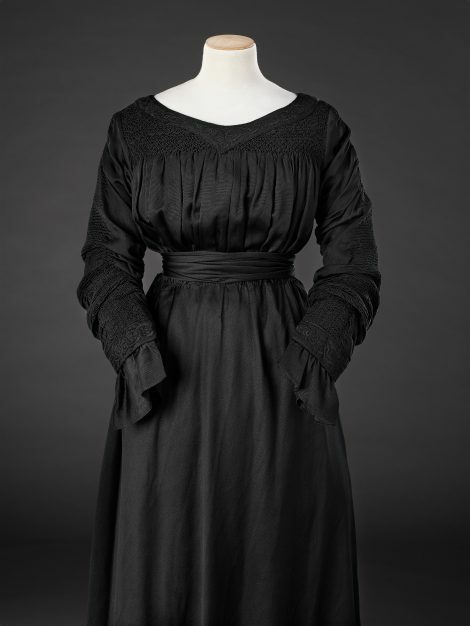 In 1884 the firm of Liberty established a costume department at its Regent Street shop with workrooms in which garments could be designed and made up from its own fabrics. 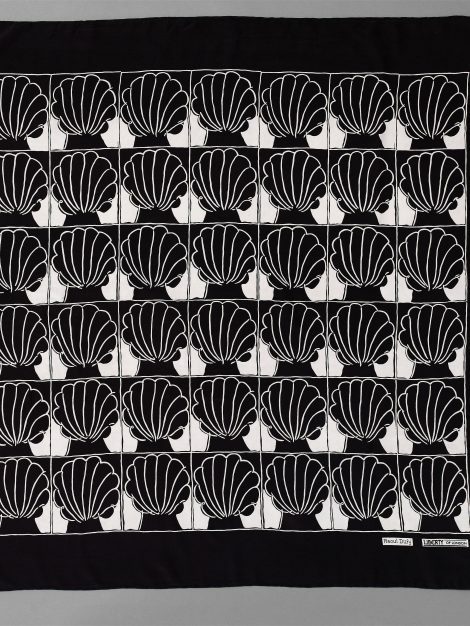 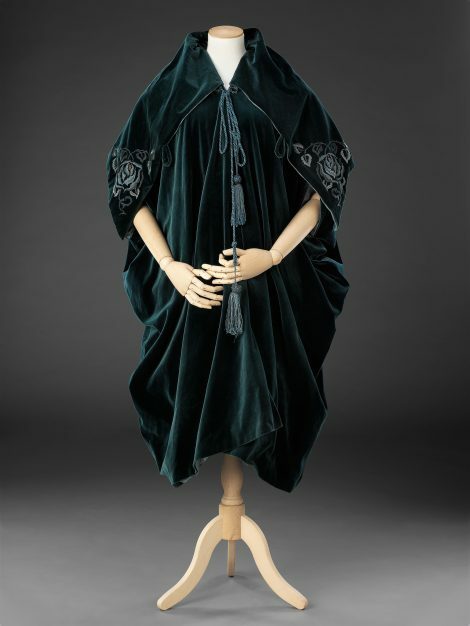 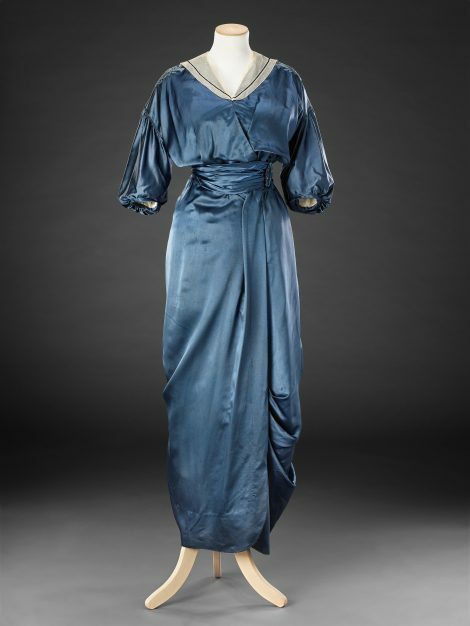 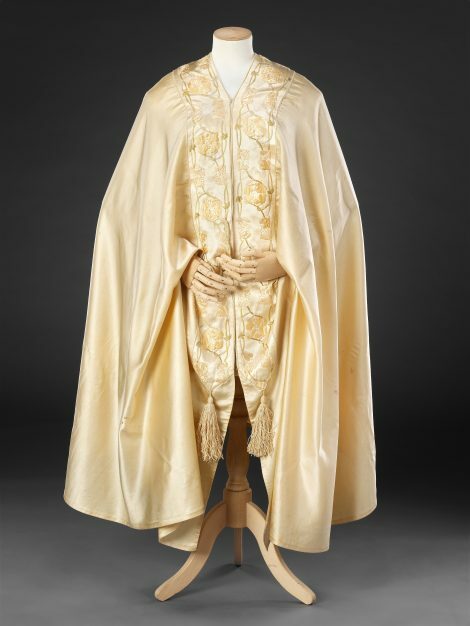 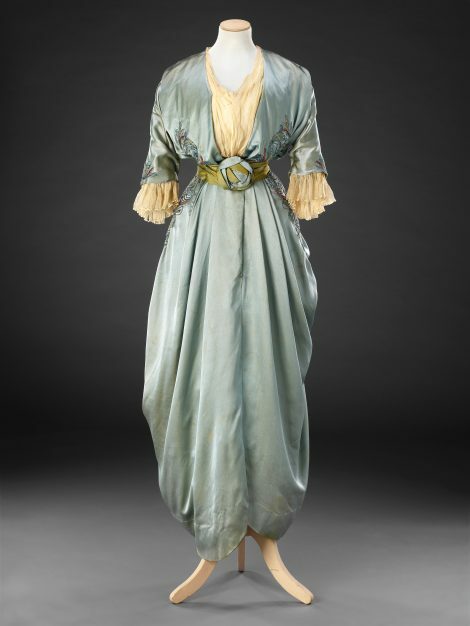 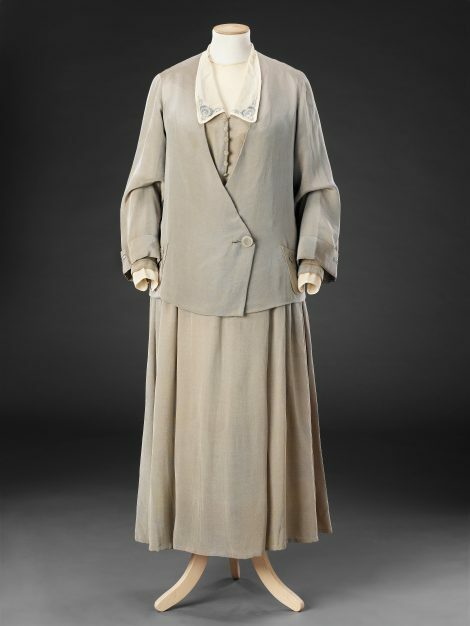 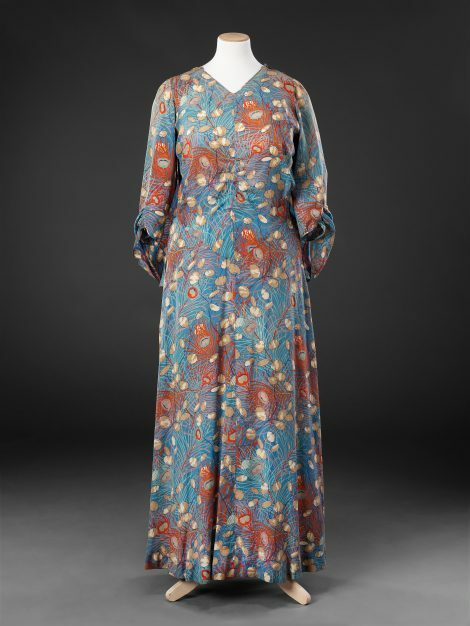 From the start it espoused the concept of Aesthetic dress which, in common with the contemporary Dress Reform movement, criticised the physical restriction of corsets, tight waists, high collars and heavy fabrics, in favour of loose styles made from softly coloured draped materials that looked to the past or distant lands for inspiration. 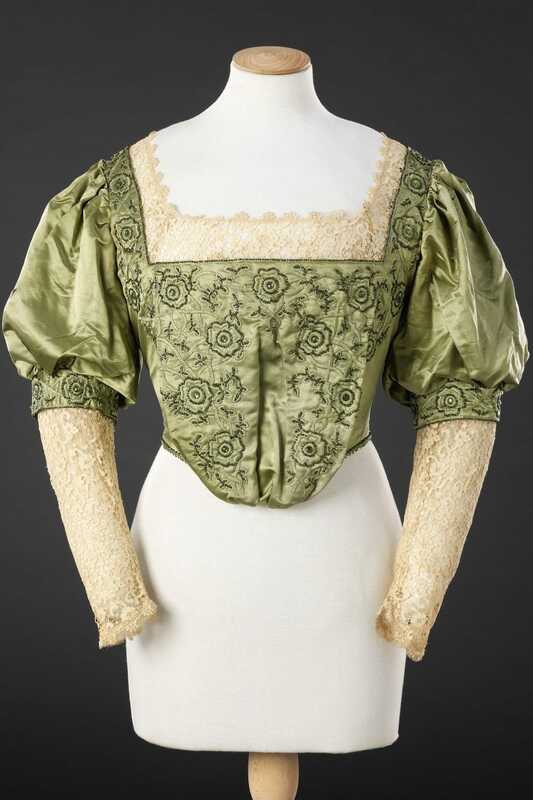 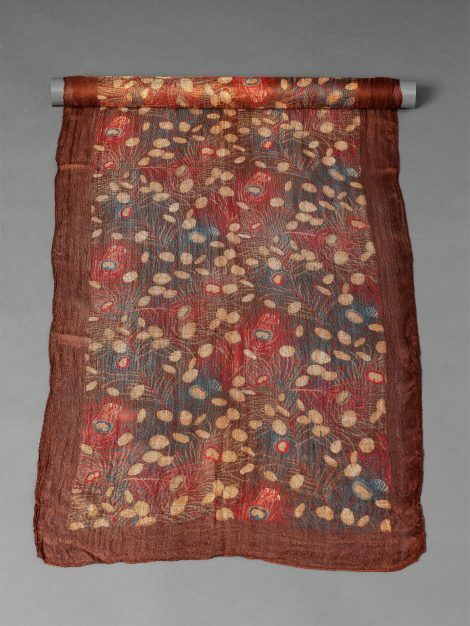 Embroidery, and particularly smocking, was the favoured decoration, evoking the skills of the pre-industrial age. 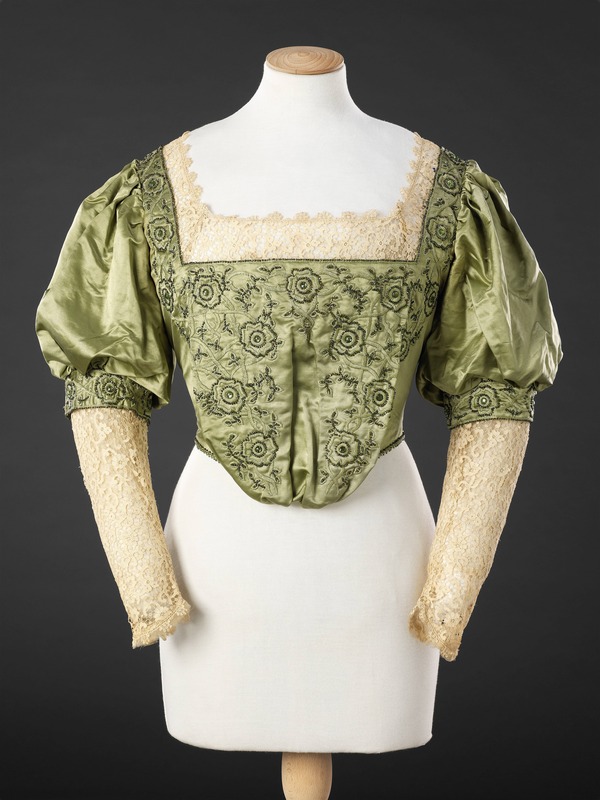 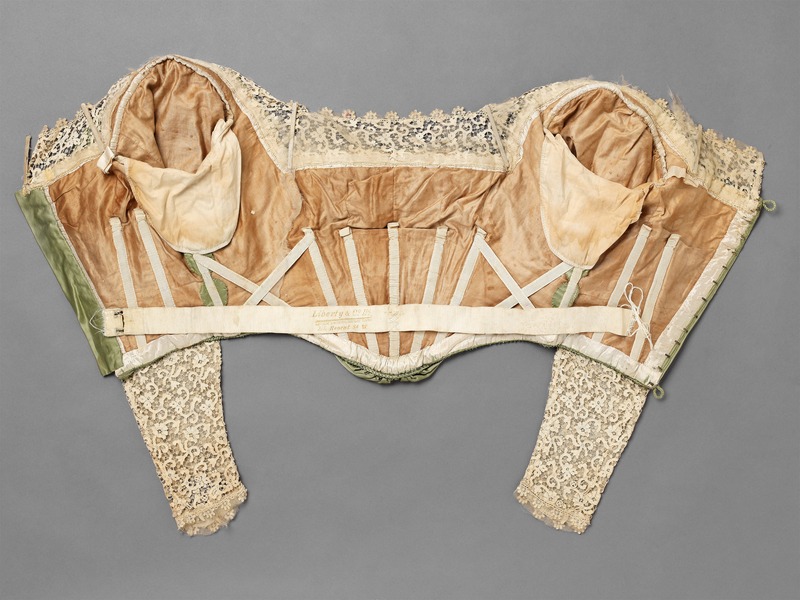 Despite these eclectic historical references that characterise the bodice as Artistic, Liberty was careful not to stray too far from orthodox fashion. 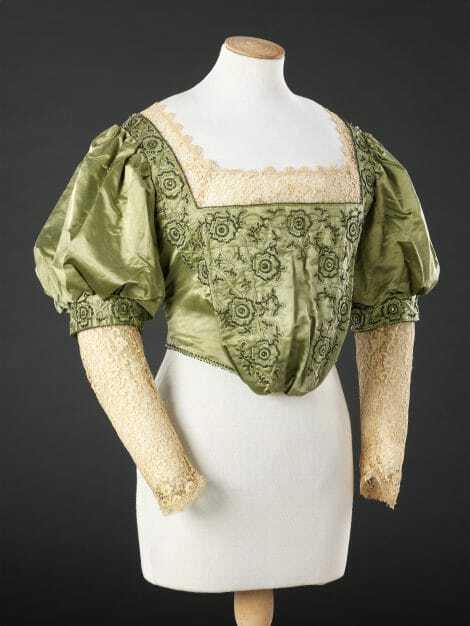 The low square neck, the pouched front, and the sleeves, full above the elbow, fitted below, tally perfectly with mid Edwardian styles. 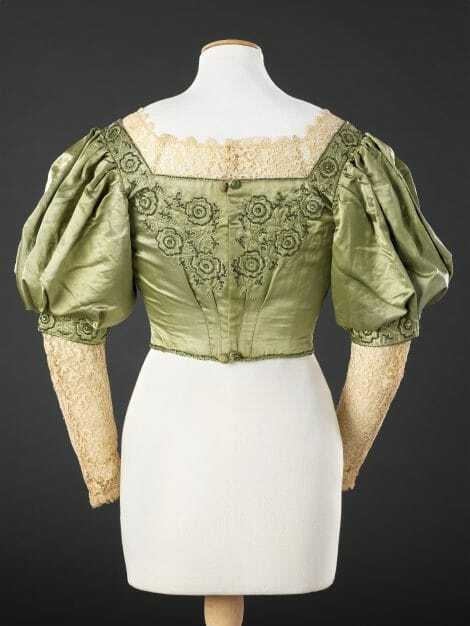 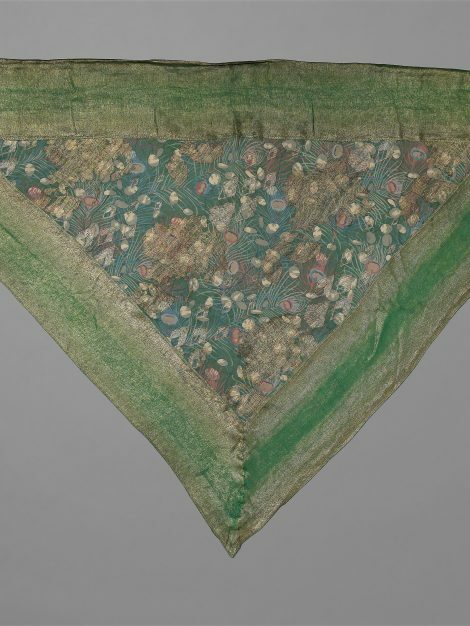 The lining is liberally boned, anathema to the concept of loose comfort, as can be seen in one of the Additional Images. 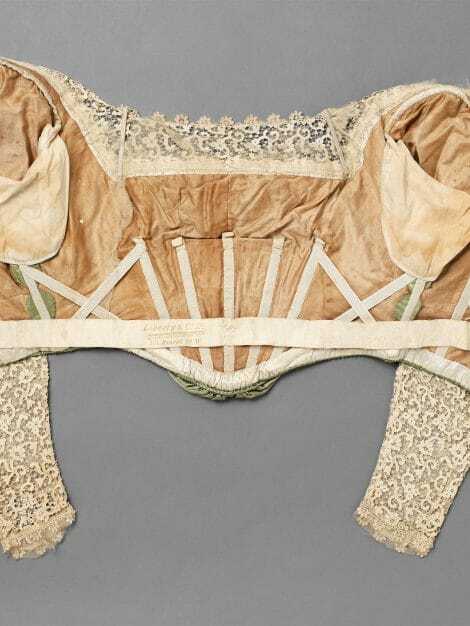 The cross shaped boning at the sides is unusual.